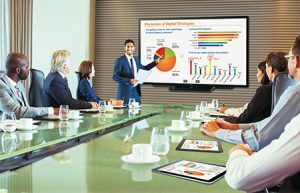 Possibly one of the most exciting areas of growth in business technology is in the area of Audio Visual (AV) and interactive products, which can quickly turn an ordinary business meeting into an impressive presentation or proposal. Powerfully present your ideas and effectively collaborate with your colleagues, using interactive screens for business. In the increasingly competitive corporate world, it is becoming more and more important to make a positive and lasting impression. Midshire specialises in the Sharp range of interactive display, ideal for engaging reception areas, interactive meeting spaces and collaborative office spaces. With Sharp interactive screens, you can transform your reception into a memorable and dynamic environment. The high definition video wall displays or interactive screens create a lasting first impression, communicating branded videos or communicating personal visitor greetings. A warm, yet professional first introduction to your company. Sharp has a range of 6 devices designed to meet the needs of busy office spaces, ranging from 40” up to 80” in dimension. Lots of companies are creating smaller break out spaces for less formal meetings or brainstorming sessions, meaning that the main boardroom is free for larger meetings. The growth in the prevalence of these spaces has led to Sharp developing the 40” BIG PAD to allow small groups of people to share ideas and work collaboratively on projects. 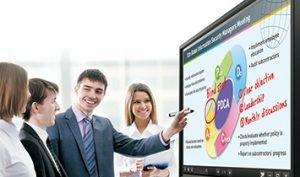 The PN-40TC1, known as the Huddle Board, these screens are ideal for between 2-6 users and come with audio and visual systems to enable conference calls and the easy sharing of ideas. 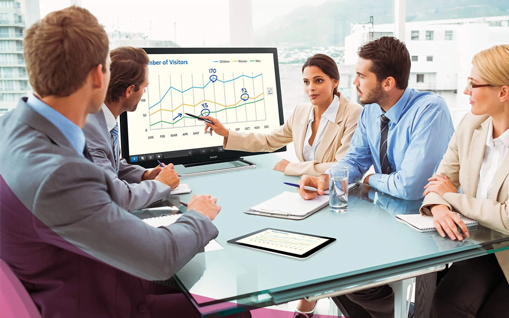 Utilising the same technology as the ‘Huddle Board’, the PN-80TC3 is the flagship device of the Sharp range of interactive screens for business. 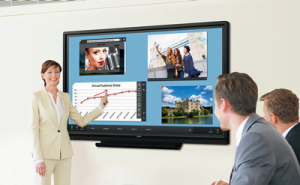 The extra-large 80” interactive board is the ultimate premium model for corporate office. Providing an outstanding collaboration platform to encourage creativity, boost meeting productivity and enhance effective decision making. 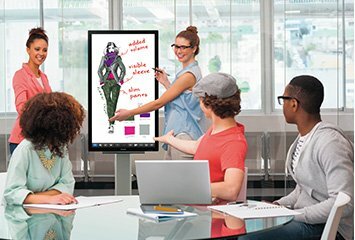 Using standard bonded glass, these 60” and 70” interactive screens are designed for smooth and effortless communication in a wide range of environments. With the option to use an electronic pen, the PN-60TB3 and PN-70TB3 can recognise the difference between a pen and finger and are pressure sensitive. So, if you press lightly the line produced is thin, whereas with hard pressure a thick marker-style line would be produced. A step up from the TB3 range, the PN-60TW3 and PN-70TW3 devices offer the electronic pen technology as standard, and also offer the option of wireless casting, allowing you to connect 10 devices to the screen. 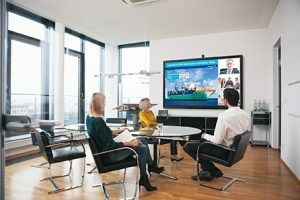 From iPhone and tablets right up to laptops, it removes the need to share HDMI or VGA cables around the meeting room when someone wants to share their project or work, making collaboration seamless!